The healthcare industry is expected to grow and consequently create a higher demand for nurses and other professionals over the next decade. RN to BSN programs in Florida were created with the nearly 175,000 registered nurses throughout the state in mind. That number is expected to increase as the demand for healthcare increases with the Affordable Care Act and the aging population within the state. RNs in Florida can expect to earn between $62K and $75K a year. Factors such as location, specialization, experience etc. all go into the income an RN can earn. Florida has long since been a destination for retirees and that trend continues to be the case. With many of Florida’s residents aging there is a great need for RNs specializing in elderly care, whether that be at hospitals, clinics, at home care, or retirement centers. There is a high demand for RNs in Florida, especially those holding a BSN and higher degrees. RNs holding a BSN degree are able to be more specialized and have more opportunities for leadership and training. Regardless of what you currently hold, an ADN, LPN or RN, more employers are looking for RNs that have a BSN degree and that is quickly becoming the standard across the country. Earning a BSN has never been easier, whether you attend a traditional brick and mortar college or online RN to BSN program. More BSN programs in Florida give credit for previous courses taken and experience already gained through employment as well as flexible class schedules that allow them to continue working as an RN while earning their BSN. The time to earn your BSN is now! The University of West Florida offers an accredited online RN-to-BSN program. This track is open to those who currently hold an RN and have a current license in good standing and have finished an associate degree. The University of West Florida’s BSN nursing program will prepare students for work as clinical generalists and will prepare them to be leaders, managers, and lifelong learners. Being a nurse requires critical thinking, communication, independent judgment and familiarity with social, political, cultural, ethical and economic issues that can affect health care and the nursing profession. Why choose UNF for your BSN? UNF has a high quality online RN-to-BSN nursing program with highly qualified and specialized teachers that have worked in their field of nursing and have extensive experience. It is a well-respected nursing degree in the community and beyond. Community experience and practicum are scheduled by the student at the location of their choice and when it fits their schedule. The entire program can be completed in as little as 12 months and is a total of 30 credit hours. Students looking to apply to Broward’s RN-to-BSN program will need to have a current RN and clear license. Classes are offered on campus and fully online for the student’s convenience. A few courses unique to this program is the End of Life course that is taught by nurses specializing in that part of nursing as well as a Legal Ethics course taught by a practicing nurse attorney. The nursing program at Chipola is fully accredited and prepares high-quality, critical-thinking nurses able to work in a variety of healthcare settings. Students will attend all the required courses and obtain clinical experience in their community as part of the BSN program. FAU offers a fully online RN-to-BSN track program in a variety of states that are fully accredited to students who are already RNs and hold a clear license and an associate degree. Professors of these courses are highly experienced and well trained to teach the curriculum. Practicum and clinical sites are determined by faculty and students to offer them the best opportunity to gain hands-on experience in the field they are choosing to work in. The Daytona State College RN-to-BSN program is designed for the new nurse or the nurse that wants to further their career through higher education and experience. This program is now fully online and allows students to move seamlessly from an associate degree in nursing through their bachelor’s degree in nursing. Applicants do need to have a diploma or associate in nursing and hold a clear license. FAMU offers a fast track RN-to-BSN program that allows students to complete their BSN in as little as one year from their start date. Applicants need to be currently licensed RNs with either an ADN or diploma in nursing from an accredited college. Participants will become more knowledgeable and well trained to be professional nurses to work in a variety of settings. They will have a broad knowledge base that will give them the opportunity to continue their education if they choose to. What does Gulf Coast State College offer that makes it a great choice to earn your BSN? The nursing program has agreements with clinical sites at hospitals and rehabilitation centers. Gulf Coast State College has one of the lowest tuition rates in the state with small classes and personalized education. The RN to BSN degree program at Gulf Coast State College in Panama City, Florida prepares RNs for Community Health and Leadership positions and entry into nursing graduate programs. The program is 95% online with 2 full time and 6 part time starts per year. Students can complete the BSN in as few as 3 semesters or more slowly at up to 6 semesters. Maximum class size is 25:1. 30 hour clinical preceptorships in Community Health and Leadership/Management prepare students for their future roles. For students ready to expand their career, increase their skills, and boost their marketability FIU is there for you to do just that. Earn your BSN online while continuing to work and gain experience in the field of nursing. The online program allows students to earn their BSN that is relevant to their current workplace. The RN-to-BSN program at Pensacola State College aims to provide students with additional skills in management, leadership, theory, research, and evidence-based practice to succeed and be promoted within the nursing profession. Applicants will be admitted at varying times depending on their level of previous education and general courses they previously completed. Every applicant is expected to have a current RN degree and clear license prior to applying. In a nutshell, the RN-to-BSN program of Florida National University is to prepare nurses to be able to function in a variety of settings and cover different roles as leaders in the healthcare industry. Students are prepared for health assessment, nursing theories, research, leadership, informatics, and health promotion across the industry of healthcare. The RN-to-BSN program of Florida Southwestern State College provides a career ladder for RNs looking to advance in their nursing career. Those holding an ADN or diploma of nursing are able to apply and increase their opportunities through a BSN. Applicants must be an RN and currently hold an uncluttered license. The program offers a diverse student population, innovative educational opportunities, and advanced learning techniques. Students really can have it all at Florida State College with flexible schedules because of hybrid classes, doctorally prepared faculty that teach what they specialize in, and flexibility to finish in 3 to 6 semesters. Students have a 100% job placement rate upon graduation and high job satisfaction. Applicants must be an RN with an unencumbered license in their state of practice. Herzing University combines relevant courses with clinical hours that students can earn while working. They can simply log their work hours and experience to go toward their degree. At the Orlando campus, students can choose either online coursework or traditional campus courses. Herzing is nationally recognized for preparing graduates for excellence in nursing. As with all programs, applicants must be RNs and hold current clear licenses in the state of their practice. 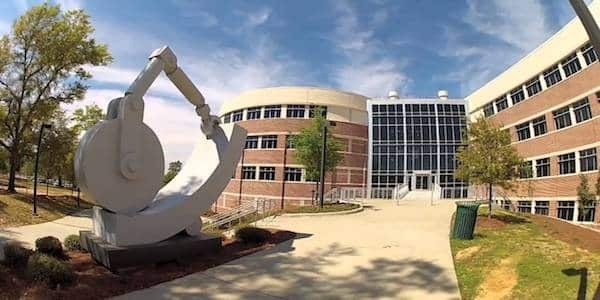 Students at Indian River State College can open new doors in their nursing careers by earning their BSN through traditional courses and clinical hours. IRSC’s RN-to-BSN program will build on the skills, knowledge, and experiences of the associate degree nurse by utilizing an evidence-based practice model. Applicants must have an RN and hold a current license in the state of their practice. At Jacksonville University students can expect to learn how to effectively manage patients, make complex decisions, exercise advanced problem-solving skills, and be more familiar with the medical research. Flexibility is what this program offers. It is entirely online and still provides students with the knowledge and skill set needed to succeed in the healthcare industry. The program at Keiser University emphasizes critical thinking skills, leadership, management, research, physical assessment, and health promotion. Graduates will be prepared to advance in the field of nursing as leaders and have the base for increased learning in the form of an MSN if they choose to. Keiser offers the RN-to-BSN program at a number of different campuses across Florida making the program highly accessible. Miami Dade College offers three different tracks for students to earn their BSN and accommodates both part-time and full-time students. To learn more about these tracks contact the school. Earning a bachelor’s of science in nursing opens doors to others avenues of nursing such as informatics, administration, research, health systems management, and more. It will also prepare graduates for further education in areas such as MSN or DNP if students choose that route. Any nurse wanting to take their career to the next level needs to earn their BSN. Northwest Florida State College offers an RN-to-BSN program that enables graduates to become a nurse manager, case manager, educator and more. The program also targets high demand specialties within the nursing field. Students will have the opportunities to take courses with greater in-depth learning in specialized areas such as specific age population, community, and family health. Nurses are the fundamental asset of the entire healthcare community and the greater education one has the greater the opportunities. The RN-to-BSN program at Nova Southeastern University offers education in areas such as leadership, community, and research. Students can take courses on campus or online and can complete the program in as little as 3 or 4 semesters. Students of Florida Southern College participate in hands-on clinical experiences both in simulation and in real life settings at hospitals and clinics. Participants learn the intricacies of working with patients, their families, and other healthcare professionals. The combination of innovative technology, hands-on practice, and traditional classroom teaching produces top graduates. Graduates test higher and are consistently ranked among the top in Florida. SEU students boast a high pass rate of the NCLEX exams, and over 92% pass on their first time taking it. SEU infuses Christ-centered studies into their nursing programs as part of the university’s mission. Students will practice in a state-of-the-art facility with human patient simulators. Much of the education is hands-on whether in the simulation or in local hospitals and clinics. All applicants to Santa Fe College must be an RN with a current clear license in the state of Florida. Participants will have higher coursework in areas such as research, ethics, community health, leadership, management, nursing theory, culture, pharmacology and more. Completion of this program will enable graduates to work as managers of nurses and earn an MSN if they choose to continue their education. The healthcare system is becoming more complex than ever before and the need for highly educated, trained and experienced nurses has reached an all-time high and is expected to continue to grow for another decade. Most students take four semesters at St Petersburg College to complete the RN-to-BSN program. They can take courses online or on campus, whichever they choose. More hospitals are requiring nurses to have a BSN and this opens many opportunities for those that do hold them with their RN license. The RN-to-BSN program at State College of Florida will build upon the student’s prior knowledge and experience with advanced nursing practice, theory, concepts and leadership skills that are necessary for nurses with a BSN. Many local hospitals have requested to have nurses trained and educated further and earn a BSN to practice in their ever-growing healthcare communities. Graduates will be eligible to work in management, leadership, and head nurse positions that increase their experience and their salary. 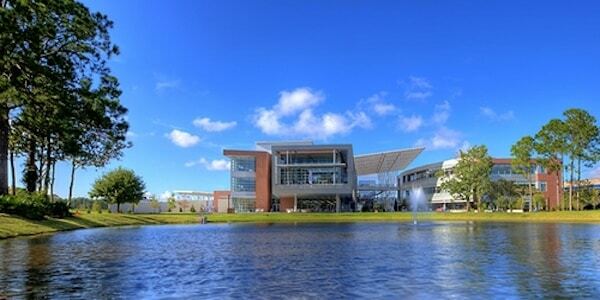 All courses are offered online at the University of Central Florida. While a few may be offered on-campus, students will need to contact the university to know if and when those courses might be available. Applicants must be an RN and hold a current clear license in the state of Florida to enter this program. The University of South Florida offers the No. 1 RN-to-BSN program in the state of Florida and number 14th nationally. Why settle for less? This program allows RNs to build their degree based on their needs and goals as a professional in the healthcare industry. Students choose between a focus on leadership and management skills, patient and staff education, and/or clinical excellence. Students will build their degree based on these specializations to meet their needs. Applicants to the University of Tampa must have completed the necessary pre-requisite coursework and general education through an associate degree in nursing or diploma of nursing. The remainder of the program will be a minimum of 45 credit hours of required upper-division coursework. The schools in this list were ranked mainly according to their tuition amount per credit (not including fees where possible) and other factors such as graduation rate, total enrollment, and online program options. See our methodology page for more details.